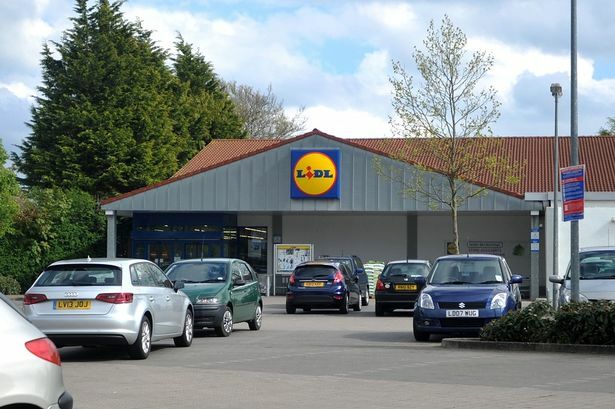 The budget supermarket war in Birmingham is set to hot up as German chain Lidl eyes a vacant site in the east of the city. The firm has brought forward new plans to build a store with 120 parking spaces and 21 houses on a derelict plot next to the A45 in Yardley. It has lodged a hybrid application with Birmingham City Council to demolish the vacant existing industrial buildings, on the corner of Forest Road and Coventry Road, and construct the houses and supermarket - a project expected to create 40 new jobs. This latest proposal follows on from an application submitted by Lidl last September to knock down its existing store in Kitts Green and replace it with one almost twice as big. If successful, the Yardley store would have a sales area of 15,327 sq ft and add to Lidl&apos;s portfolio of stores in Erdington, West Bromwich, Sutton Coldfield and across Birmingham. A design statement prepared by Birmingham-based transport consultancy Phil Jones Associates said: "The site has been vacant for a number of years and has been actively marketed on behalf of the land owner. "The site is occupied by three buildings which are partially derelict. "The majority of the site has been redundant for over ten years, with the remaining small amount of industrial use on site closing approximately 18 to 24 months ago. The proposed development will significantly improve this derelict site."